Thank you for visiting my Website! This is a one-stop real estate website for all your home buying and selling needs in Santa Barbara, CA. We are professional real estate brokers and agents who will help make your search for a new home an enjoyable experience in the Santa Barbara area. We encourage you to check out our Website for local neighborhood and school details, interactive maps, listings of homes for sale, and many more features. Please feel free to contact us if you have any questions about the Santa Barbara real estate market, or buying or selling a home in Santa Barbara. Thank you for visiting www.BetsyZwick.com! Recently awarded the NAR Green Designation, Betsy Jones Zwick brings high energy and enthusiasm to all her business relationships. Integrity and excellent communications skills are assets to all of her Real Estate transactions. They are the foundation of her success. Betsy has been a top producing Real Estate agent for over twenty years. She was the Assistant Manager for Fred Sands in 1996 and a pricing specialist for EMC Mortgage Company for over ten years. Before becoming a Real Estate professional, Betsy had a 15 year career as a costume and set designer in advertising and film production. Betsy's design background enables her to make a good assessment of what should be done to get a house ready for marketing. She uses that same ability to make good suggestions to inspire buyers or help them see potential in a property. Her background as a Pricing Specialist helps her to do a precise market evaluation when it's time to list a home. Betsy believes that pricing the property accurately is the key to a successful sale. She is detail oriented and hardworking, using her tenacity, intuitive sense and strong communications skills to negotiate the best terms and price for her clients. Betsy enjoys introducing her clients to the community. She has raised two children in Santa Barbara and is familiar with the school districts and other attributes offered in all of the different neighborhoods in Santa Barbara. 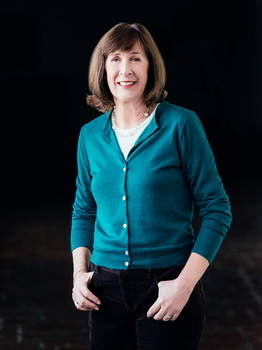 In August of 2015 Betsy joined the Board of Trustees for the Santa Barbara Historical Museum and sits on the Museum’s Art Collection Committee as well as the Historic Homes Committee.